A years experience Deal Dash review with 160+ auction wins! I began bidding on Deal Dash just over one year ago. In fact, I registered on October 25, 2012 and what an amazing journey it has been winning over 160 auctions to date. It all started when the color on my TV went out. Not being able to afford a large size TV for the living room I thought I would try Deal Dash. I wanted to make sure I started properly so I read all the rules, hints and suggestions first. Then I started off by bidding on smaller items and worked my way up. I made sure to use the Buy It Now option (BIN) when I lost the auction. With BIN you actually never lose since you buy the item at regular price and get your bids back to use again. Sort of recycling your bids. I won numerous items and gift cards which I love and then I took a gamble on a few things I couldn’t afford to BIN (like the TV) and low and behold I won a 50″ LG HDTV valued at $1200.00 for only $50.00! How cool is that! I invite everyone to try the site, oh wait! That means more competition in the auctions! But really, try the site and I think you will agree it is a fun way to shop, possibly save you quite a bit of money on day to day items and maybe a big win on something really nice. Be sure to read all the rules and tips. If you have any questions at all contact the best support team any company could have. I plan on being a Deal Dash customer for a very long time. This entry was posted in Home on October 31, 2013 by . I love giving gifts; especially gift cards! They are small, flexible, can be very valuable and my kids always love them which is why I routinely give gift cards to my family members each Christmas to various retail shops, restaurants, and other fun places. Last Christmas, I was able to provide everyone with at least 4 gift cards that I had won on DealDash.com! I started my winning spree with a $25.00 gift card + 30 free bids to IHOP for 0.67! Since I have a husband, 3 daughters, a son-in-law and a grandson, I knew I would need to acquire a few more! So, I continued bidding on DealDash and my next win was a $10.00 Walmart card for $0.17. My husband loves to read so I bid and won him a $25.00 gift card to Barnes & Noble for $0.71 so he could pick himself a good book. I continued and won a $25.00 GameStop card for $2.20! These are just a few examples of my wins on Deal Dash. I made several more auction wins for numerous other gift cards at a fraction of what I would have paid at the stores themselves! Many of those gift cards also came with additional free bids so I got all my bids back plus a few extra. All in all I ended up with gift cards to Claires, Barnes & Noble, Walmart, Cracker Barrel, GameStop, Subway, IHOP and Starbucks! Needless to say, my family loved them and I hope to be able to do the same this Christmas season. I love DealDash and love the free shipping they provide too! If you also love giving gift cards, then I recommend shopping for them on DealDash.com. You have to buy Bids in order to participate in the auctions, however you can really get some good deals when you win auctions. If you don’t win, it’s okay too because DealDash has what they call a Buy it Now option (BIN). You can get all your bids back if you buy the item at the regular ‘Buy It Now’ price, listed in the auction. I won this IHOP gift card on DealDash for $0.67. I won this Barnes & Noble gift card on DealDash for $0.71. I won this GameStop gift card on DealDash for $2.20. This entry was posted in Home on October 30, 2013 by . Today, I will discuss about my personal DealDash experiences for the past month. First off, the mail delivery service has been busy coming to my home delivering all the items I purchased using the Amazon Gift Cards I won on DealDash.com which has been simply awesome! Just the other day I received another electric pressure washer to back up the well-worn one I won a year ago on DealDash. I did have to Buy it Now (BIN), but I truly needed it, and was prepared to Buy it Now to get all of my bids back in case I lost. It came from Sears, was priced competitively and is one of my very favorite cleaning appliances. It is electric and super easy to use! Read more about this and my strategy in a previous blog entry I wrote: A Good DealDash Strategy. 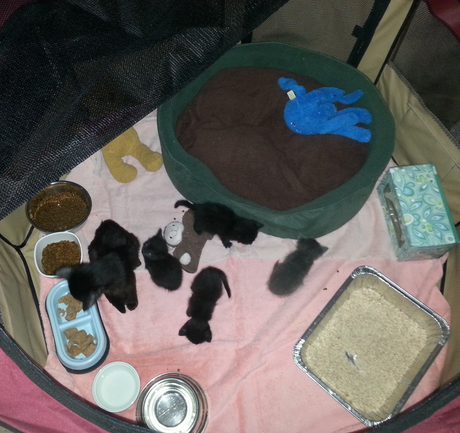 If you’ve read some of my other blog entries you’ll know that my true passion is fostering and helping animals. It’s clearly stated in my DealDash user name: LuvMyPets. To help the animals I shop on DealDash.com which has a variety of pet supplies and gift cards that allow me to purchase needed supplies. Here’s a list of some of the items I bought using the Amazon cards I won on DealDash. I am always super happy when I see items on DealDash for pets and always look forward when more useful pet items will be added. So far, I have acquired two high quality pet beds, an extra large wire pet cage, and a Suncast dog house. I don’t only shop on DealDash for my pets though. Just recently I also got a few other personal items I wanted thanks to DealDash. Rapid bidding on top of every other player is detrimental to you, and good for the rest of us, who know better. If you don’t figure that out soon enough, you will eventually be very sorry for over spending and destroying your Return on Investment. Check the stats of some of the bidders you are playing against. If you see that that they just won a huge bid pack, you may want to drop out of that one and get in the next auction. I really love Deal Dash!!! I love the promotions, support staff, and prompt attention and response to inquiries!!! This entry was posted in Bidding Tips, Home on October 29, 2013 by . Have you tried the DealDash Marketplace? Wooohoo!!! Deal Dash has out done themselves this time! What if I told you… You can now play on DealDash.com and never buy bids again!!! What if you could not only bid on the things you wanted in the traditional way but also sell and buy items for specific prices or in this case bids!! Now for the first time ever on a penny auction site you can list items for a determined amount of bids to sell in the “MARKETPLACE”. Listing is simple! Just a title, description and number of bids you want for the item. Sellers must ship the item with tracking information. Once the item has shipped and the tracking info submitted, the seller will receive the bids from the buyers account. Very simple! And what makes it even better is that once again Deal Dash has got you covered!! They have extended their 100% satisfaction guarantee to the Marketplace with buyer protection!! 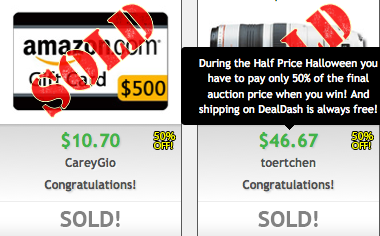 That means if you are not satisfied with your “purchase” Deal Dash will return your bids!! You can’t beat that!! I have personally sold several items already and haven’t paid for a single bid since the “Marketplace” opened! The “marketplace” is really in its infant stages right now with many more things to come as far as functionality and fun is concerned! So stay tuned and watch for even more fun and more great deals on DealDash!!! This entry was posted in Home on October 25, 2013 by . When I am on Deal Dash I see so many people from different regions and also different financial backgrounds. Some are business owners, some are retired, housewives & husbands. Some are on fixed incomes and take what they can afford to buy some bids in hopes of winning. While I observe the patterns and read the bios of many, it came to me how to win a DealDash auction on a limited budget. One way to do this is watch for those great deals and buy bids when discounted at 15 cents. Buy what bids you can afford, and do not use them right away. When the opportunity arises again, buy more bids to increase your stock pile. Look at it like a savings account, that you are trying to save money in. Once you have acquired an amount of bids that you are ready to use, be patient and wait for the great promotions, like half off and free wins! That is when you take the opportunity to use the bids that you have saved up for and make the best use of them. This is one way of saving money and also giving you better chances of winning an auction. 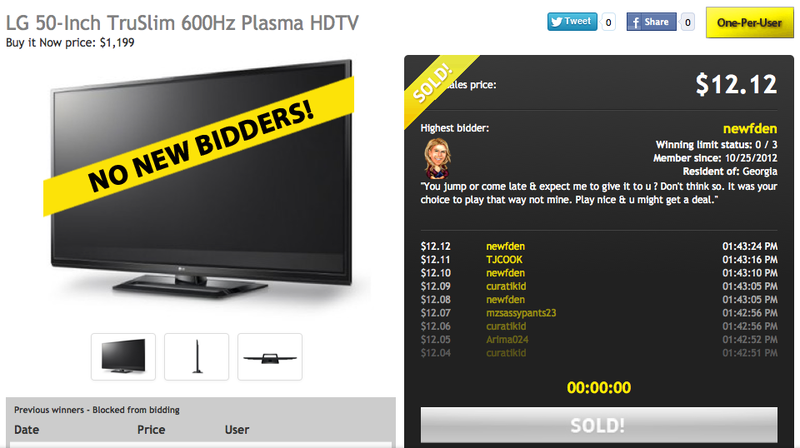 As Deal Dash is growing in popularity so are the number of people that are now bidding. Some are aggressive bidders that may be at times wanting an item so bad, they may not wait for the clock to tick down to hit the bid button – some call these “Bid Stompers”. Don’t forget use Bid Buddy, this too is also a way to make best use of your bids without wasting them. Most auctions are won with the use of the BidBuddy. Remember be patient. It is easy to get caught up in a bidding frenzy when you see an item you would love to have. That item you see usually shows up minutes, hours even days later. So start saving those bids up and jump in on the fantastic promotions. Happy bidding on DealDash.com and Enjoy! This entry was posted in Bidding Tips, Home on October 24, 2013 by .